You turn on the evening news and there has been yet another car seat safety recall. How do you know if your seat has been recalled? What do you do if your car seat is included? Car seat recalls are usually not a major deal. Sometimes it is a part, or a pad that can be easily replaced, and other times the entire car seat needs to be returned to the store. Here are some steps to discover if your car seat has been recalled. 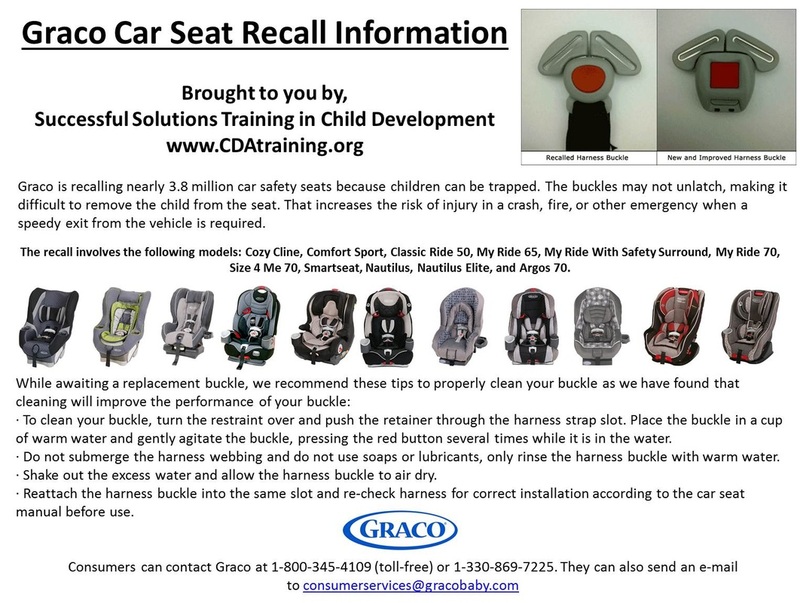 Most recently Graco had to recall the buckles of over 3.8 million safety seats. This recall is really only pertinent to those of us who allow our children to eat in their car seats. The main problem was food particles becoming lodged in the buckle, causing the buckle to jam. Below you will find out flyer on the recall and a video demonstrating how to clean a dirty buckle. The best way to find out if your car seat has been recalled is to go online and check the manufacturer's website. Almost all brands have a section of their websites dedicated to publishing the latest recalls. Another way to find out is to call the 1-800 number listed on your user manual. The manufacturer information is typically located under the car seat or on the back side of the car seat. When checking to see if your car seat is involved in a recall you will need very specific information such as the car seat model number and manufacture date. This is needed for each seat, because the same model can be made over several years and one seat may be affected while a newer/older model may not be. 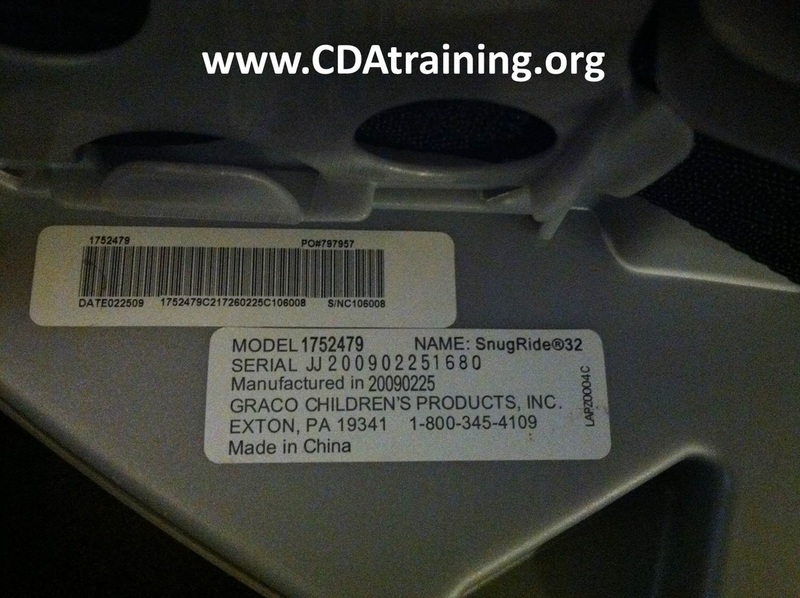 Below, we have posted a photo of what the manufacturer label might look like. This label is for a Graco infant seat. My Car Seat Has a recall; Now what? The most important thing you can do, when your car seat has a recall, is to follow the recommendations from your manufacturer. If you have any questions, do not hesitate to call your manufacturer.